First it was Jackson Browne, then Van Halen. 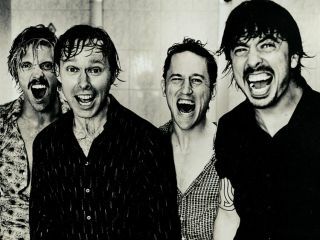 Now Foo Fighters are the latest artists to hit out at Republican Presidential candidate John McCain for using unauthorised music at one of his rallies. "This isn't the first time the McCain campaign has used a song without making any attempt to get approval or permission from the artist. It's frustrating and infuriating that someone who claims to speak for the American people would repeatedly show such little respect for creativity and intellectual property. "The saddest thing about this is that My Hero was written as a celebration of the common man and his extraordinary potential. To have it appropriated without our knowledge and used in a manner that perverts the original sentiment of the lyric just tarnishes the song. "We hope that the McCain campaign will do the right thing and stop using our song - and start asking artists' permission in general!" Is it just us, but maybe politicians should simply stop using album music at these rallies? - a flood of complaints seems only minutes away each time. Or better still, maybe the candidates should learn to play an instrument themselves. MusicRadar can help, you know!